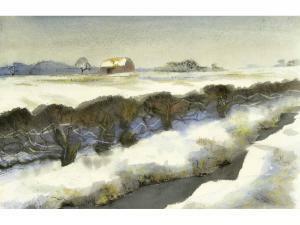 Find artworks, auction results, sale prices and pictures of Clifford Knight at auctions worldwide. 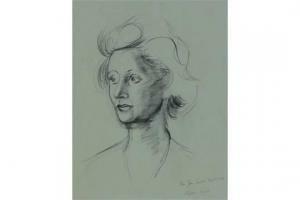 Clifford Knight FRSA (born 1930) charcoal sketch on grey paper, portrait of Mrs Joan Sanders 1962, signed with exhibition labels verso, 16" x 12", framed. 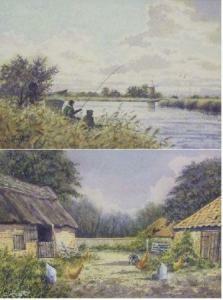 "Fishing on The Bure" and "King of theRoost"